Happy Friday everyone! 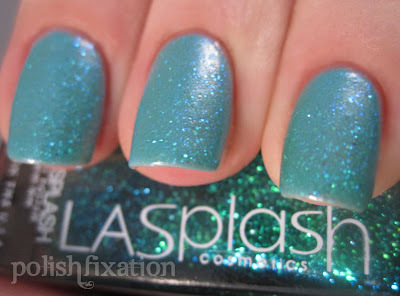 Today I have some polishes from LA Splash to share with you! First up, a really pretty blue with a subtle shimmer. Aqua Fusion only needed 2 coats for full opacity and the formula was really easy to work with. 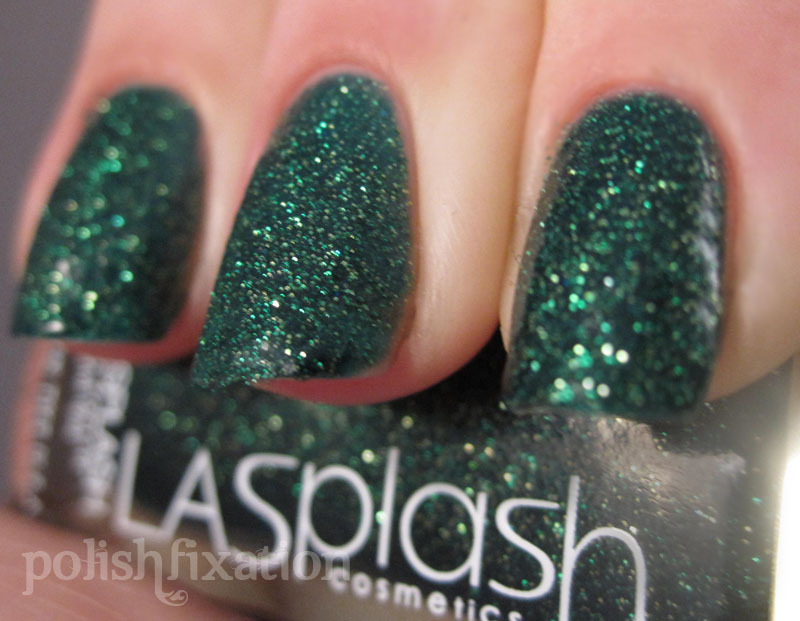 Gorgeous green glitter polish, opaque in two coats. The formula on this one was a little tricky at first but nothing terrible, just thick. Some thinner might make that better anyway. Love this shade! This is a pretty shade of purple/fuchsia which also has a subtle shimmer. Purple Heart is not a terribly unique shade but it was still really pretty and the formula was nice. Two coats are pictured. A light green with a frosty finish. Tropical Storm is definitely one of my favorites of this group of polishes. The formula was easy to work with and needed only 2 coats for opacity. The only downside to this polish is that it was hard to eliminate the brush strokes, so I might stamp over it next time to mask them, but I still really love the color. Lastly, my favorite of the whole group: Jade. I really love layering and this glitter is perfect for it. I especially liked putting this over Aqua Fusion, it looks so icy! I love how it just seems to gleam over whatever color its placed over. Really stunning! 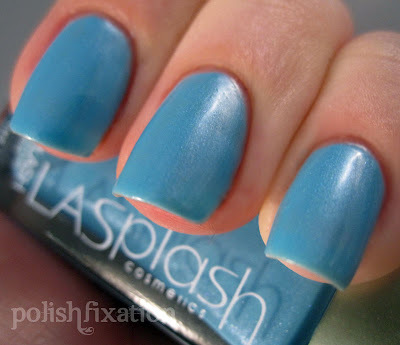 All in all I am impressed by LA Splash nail polish and definitely want to add more of their polishes to my collection. One note about using these polishes that I realized: The bottles are a tall skinny rectangle shape and you need to be a little more cautious when dipping the brush because this shape of bottle is much more easily disturbed than a fatter type bottle. 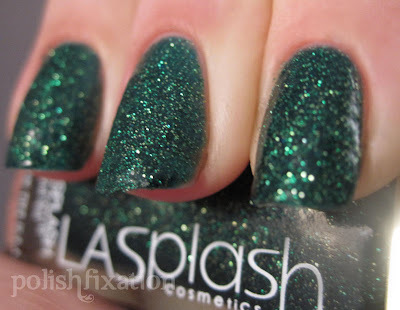 By the way, if you're looking to try out LA Splash, now is the time because they are in the middle of their holiday sale where you can get savings of 40-50%! i love LASplash! i seriously need to own more of them! Ohhh I really like these- I'm a fan of Jade too! I may have to find it! These are amazing! 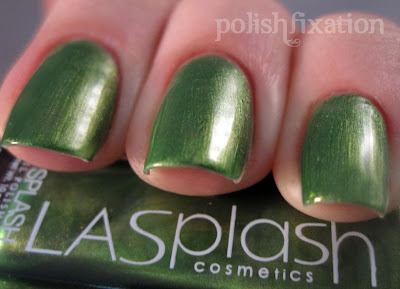 I love LA Splash, every polish I have by them is amazing! They're harder and harder to find though these days. Erikkkkkkka- tagged you in Nail Polish tag, if you feel like playing along! :) No pressure! Oh wow! These are pretty! 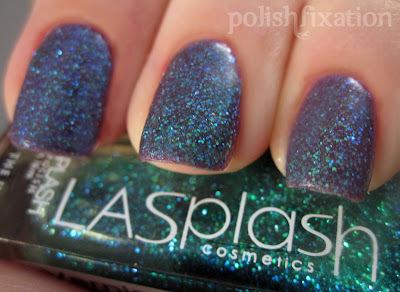 I can see myself wearing Oceans Fairy! I have one of their polishes in my untrieds. Can't even remember what it's called at the moment. I like what I'm seeing ;0). Thanks for sharing!